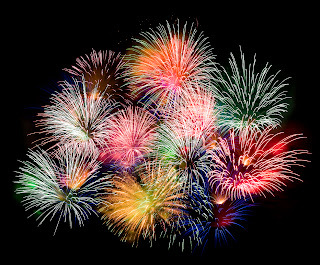 A Labor Day fireworks celebtation will be Sunday, Septmeber 1, 2013 in South Lake Tahoe. The fireworks will be launched from a barge near the Edgewood Resort at 8:30pm. The display promises to be similar to the "Top 10 in America" show on July Fourth. The fireworks will be visible from open areas anwhere on the south shore. The forest fire smoke will limit viewing from distant areas like Mount Tallc. Better viewing will be at Nevada Beach, Bijou Community Park, and Timber Cove Marina. I think the best viewing is from a boat anchored near the barge. The Edgewood Resort has a dinner and fireworks viewing package, as well as the Tahoe Queen and M.S. Dixie.